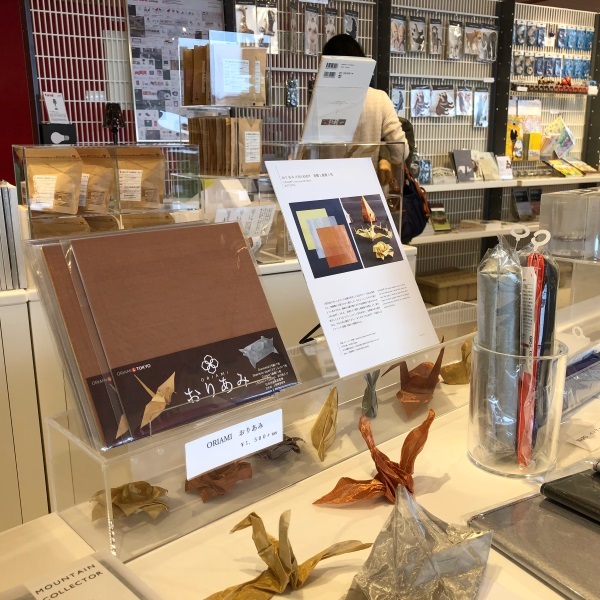 The work of Wire Mesh Origami "ORIAMI" was exhibited at Toyama Prefectural Museum of Art and Design, Opening Memorial Exhibition Part 2 "Art and Design in Interaction with Materials." 2018.03.07 The work of Wire Mesh Origami "ORIAMI" was exhibited at Toyama Prefectural Museum of Art and Design, Opening Memorial Exhibition Part 2 "Art and Design in Interaction with Materials." The work of Wire Mesh Origami "ORIAMI" is exhibited at Toyama Prefectural Museum of Art and Design, Opening Memorial Exhibition "Art and Design in Interaction with Materials" from November 16th (Thursday) 2017 to January 8th (Monday) 2018. 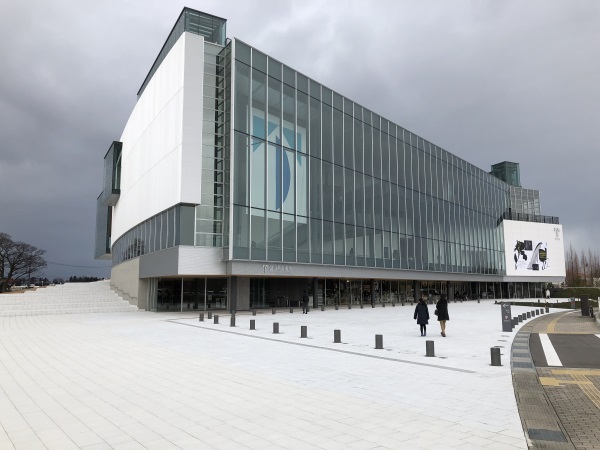 Former "The Museum of Modern Art, Toyama" opened in 1981 was moved and reopened as "Toyama Prefectural Museum of Art and Design" in August 2017. 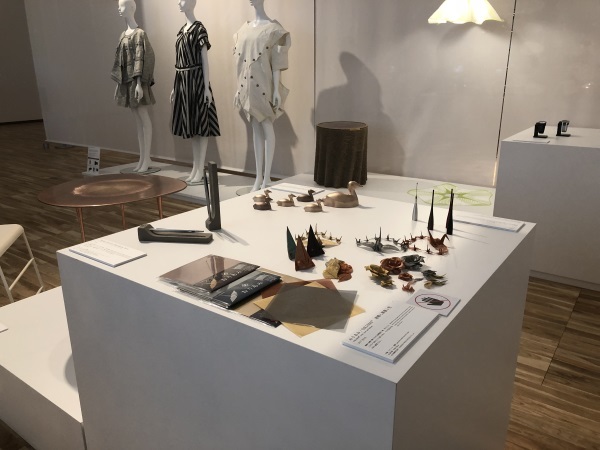 As the Opening Memorial Exhibition Part 2, "Art and Design in Interaction with Materials" was held at the museum. ISHIKAWA WIRE NETTING Co.,Ltd created an artwork "Cranes, Roses and Headpiece (Renzuru, Bara, and Kabuto)" using Wire Mesh Origami "ORIAMI." The work presents the cranes standing in a beautiful and majestic form, the roses with spectacular brilliance, and the headpiece with profound presence. This is the first time an artwork using ORIAMI was exhibited at a museum. We are pleased that the possibilities and the high artistry of the material are recognized. Wire Mesh Origami "ORIAMI" material is available at museum shop. We would be grateful if more creators find an opportunity to use the material. Toyama Prefectural Museum of Art and Design is 20 minutes walk from JR Toyama Station, there is also a bus to the museum from the station. We look forward to your visit.